A Barossa Valley wine tour is one of Adelaide’s highlights. The Barossa Valley is the most renowned wine growing region in the Adelaide area, and possibly Australia. It is a popular destination for both Australian and international wine tourists and for good reason. Less than 100 kilometres from Adelaide, with over 150 wineries ranging from familiar favourites like Jacob’s Creek, Wolf Blass and Penfolds, to family run operations carving out their own particular niche. The best way to enjoy your day is to take a guided wine tour where your knowledgeable guide will show you some of the regions highlights (other than wineries) while sampling some fine wines along the way. 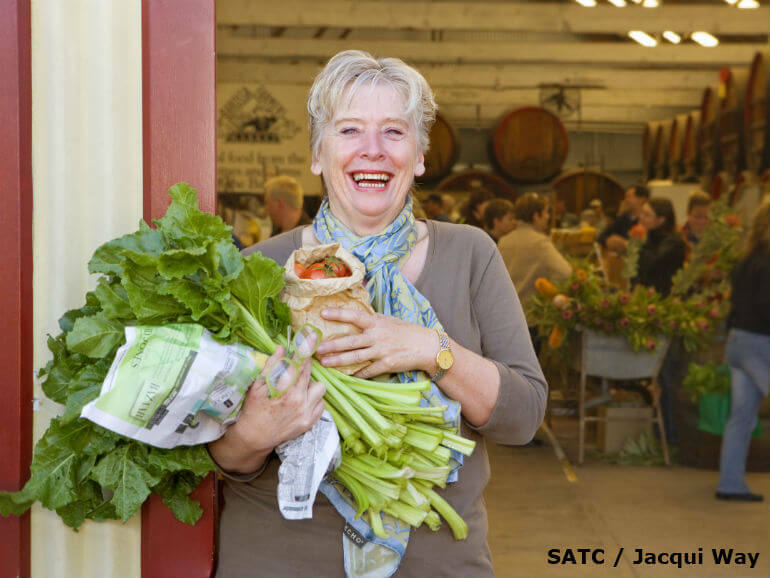 If you are more interested in discovering the Barossa at you own pace, make sure you include a visit to Maggie Beer’s Farm Shop, the Barossa Farmer’s Markets, every Saturday in Angaston, and for something quirky The Herbig Family Tree also in Angaston. The tree was home for a couple of years to Friedrich and Caroline Herbig and two children around 1860. Eventually the family grew to 16 children and not surprisingly outgrew the tree which is now listed with the National Trust. Take a tour to Hahndorf and see Australia’s oldest German settlement dating back to the early 1800’s. A lot of the original architecture of the town still survives today and it is interesting to see the merging of German and Australian influences in the historic buildings. You may notice references to Ambleside as there was a period when the German name of the town was replaced. 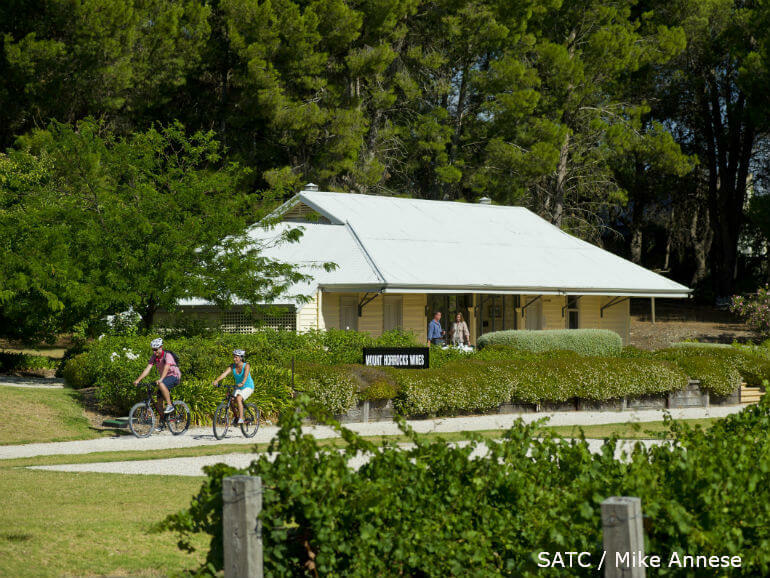 Just to the north of Hahndorf you will find The Cedars, the historic home of Sir Hans Heysen a famous Australian landscape artist, and who the Heysen Trail was named after. 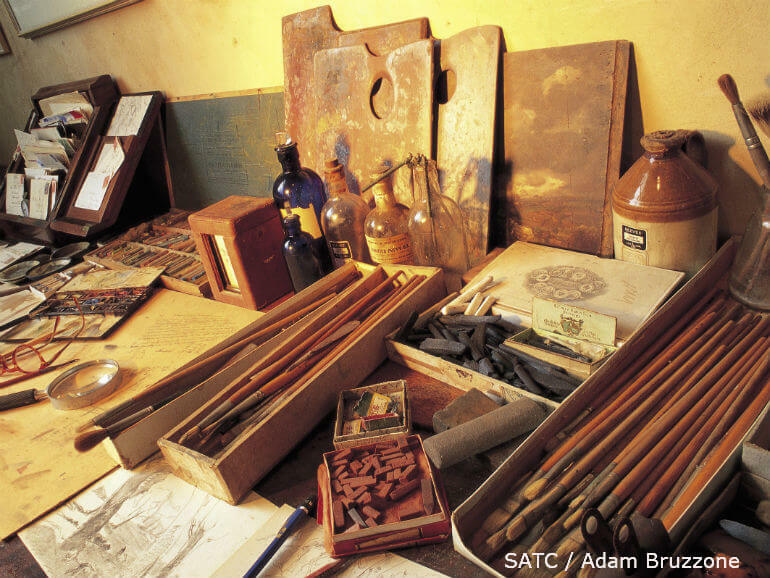 As well as 200 original works on display you can tour the artists’ studios and his home and gardens. If your art preferences are more Australian then visit Bukartilla with displays of Aboriginal and Australian Art. Timbers, minerals and gemstones are also on display. With its German influence, Hahndorf is also famous for smallgoods, beers and ciders not to forget the fabulous wine. You need not venture further than the ancient tree lined main street, where there are multiple establishments offering boutique beer and cider samples accompanied with local smallgoods. If wines are more to your taste, then there is an abundance of wineries to cater to your needs. The Adelaide Hills has a catch cry of the ‘Land of the Long Lunch’ and this aptly describes the way you should spend lunch in the Adelaide Hills with so much good food and wine (or beers and ciders) on offer. What it doesn’t cover is the diversity of the area. There is certainly enough to keep everyone happy, there are farm and wildlife experiences, history, culture, arts and ample activities for the kids. With heaps of coverage being given to the food and wine, this section is going to focus on those smaller members of your travelling troop. Situated halfway between Birdwood and Hahndorf is Melba’s Chocolates Factory. Melba’s Chocolates are produced in the old fashioned way and there are various rooms where you can view those processes. The opening times are 9.00 am to 4.30pm everyday so be sure to check their website for public holiday times and closures. 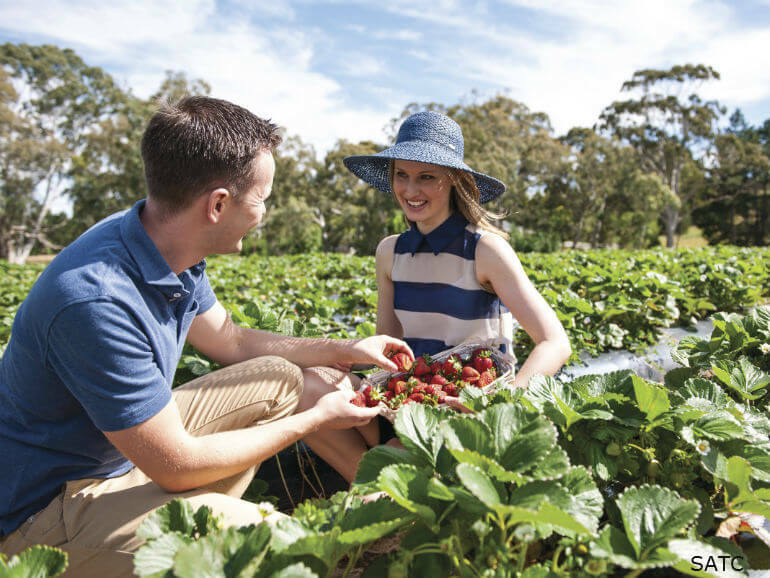 Another favourite would have to be picking your own strawberries at Beerenberg farm between November and April. Even outside of the strawberry season the farm shop has their range of sauces, jams and relishes all made from the recent season’s produce. Some of which are not available anywhere else. With so many farms in the Adelaide Hills, spending a day with the farm animals is a must. At Hahndorf Farm Barn, open 10am to 4 pm 7 days a week, you can milk a cow, hold a python, ride a pony (ok you have to be between 2 and 12 to do this one! ), or take a tractor ride on the weekends. If farm animals and chocolates are not enough to make the day perfect, then how about visiting a toy factory where you will find the “Big Rocking Horse”, the world’s biggest at over 18m tall, and for a small cost you can climb over it. This is the perfect place to buy some wooden toys to add to the collection. There is also a wildlife park and for a token entry fee and you can purchase food to feed the animals. Although best known for its dry red wines the McLaren Vale wineries also produce some fine white wines and the combination of a Mediterranean climate and great seafood make the area a gourmet’s delight. My favourite McLaren Vale winery has to be Molly Dooker Wines (named after the Australian slang for left handers). I am not sure if it is the quality of their wines, and they are some of the best, or the quirky labels. Whichever one it is, try their wines and visit their cellar door. Keeping with the slightly irreverent trend, Wirra Wirra is another favourite, again the wines are excellent and who can resist a winery which enjoys hurling watermelons around on a medieval siege. Its more proof that good wine and enjoyment go hand in hand. Wirra Wirra also features Harry’s Deli overlooking the gardens and vineyards where you can round out your morning with a quality lunch. The town of Willunga has cornered the market lifestyle and earns its title of the “Market Town”. Every Saturday morning, they hold the Willunga Farmers Markets, off St Peter’s Terrace, where the local farmers and producers sell their products direct to you. This is your opportunity to meet the people who are responsible for the fine produce used throughout the region. The Willunga Quarry Markets are held every second Saturday in Aldinga Road and also features the produce of the area. The Willunga Artisan’s Market is held every second Saturday at the old show hall. Locals artists and their handmade articles are the feature of this market. You can browse through the stall looking for that one off piece of jewellery and leave with the inspiration and materials to make one of your own. It isn’t a spelling mistake, although it may have been what caused Victor Harbor to forget its U. There are other places in South Australia spelt this way lending support to the story that the spelling occurred due to an error by an early surveyor. Whichever way you spell it Victor Harbor, it is a very popular tourist destination located on the Fleurier Peninsula just an hour’s drive south of Adelaide. 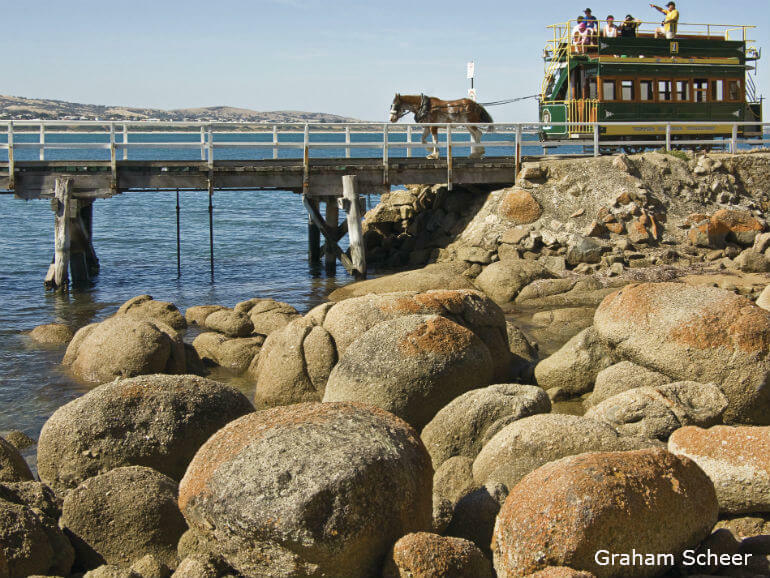 No trip to Victor Harbor would be complete without riding the horse-drawn tramway to Granite Island (popular for whale watching). The first trams ran in 1894 until the 1950’s, with services restarting in June 1986 as part of South Australia’s 150th Anniversary. Also situated in Victor Harbor is the South Australian Whale Centre, where you can learn about whales and whaling in the area. 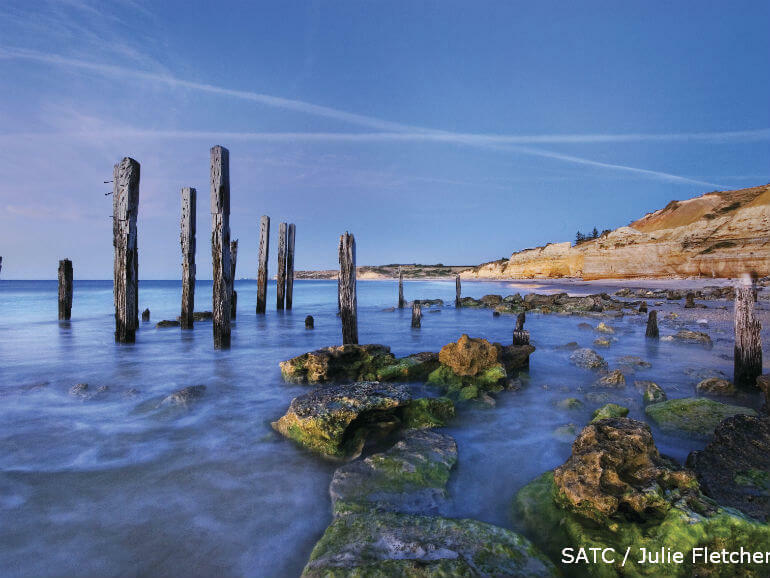 Throughout the year you can take the 30 minute train journey from Goolwa on the Fleurieu Peninsular to Victor Harbor. Step back in time on special occasions when the steam train pulls the heritage carriages. The Clare Valley Wine region is best known for its rieslings. When the rail line from Clare to Penwortham was damaged in the Ash Wednesday Bushfires in 1983, the line was eventually converted into a walking and cycling track now called the Riesling Trail. Although rieslings may be what has made Clare Valley famous, there are more than three times as many red wine grapes grown in the area. The Riesling Trail runs approximately 35 kilometres from Barinia in the north, through Clare, Sevenhill, Penwortham, Watervale and Leasingham through to Auburn in the south. If you are still wanting more, at Auburn you can join the Rattler Trail for a further 19 kilometres to Rhynie and Riverton. 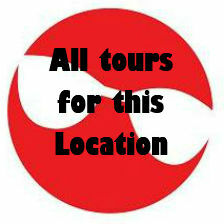 The trail is sealed and perfect for cycling or walking tours of the wineries, artist galleries and sights along the way. Each of the towns along the trail offer a variety of accommodation options. If you want time away from wine, then certainly plan a visit to Burra. The town is famous for the Monster Mine which in the late 1800’s was one of the largest copper mines in the world. The town has preserved it early heritage with many of the original buildings from the boom days of the mine still in use. Fifteen kilometres east of the centre of Adelaide is Mt Lofty. From the 710m summit, the vista is fabulous, you see the coast as well as magnificent views over Adelaide. 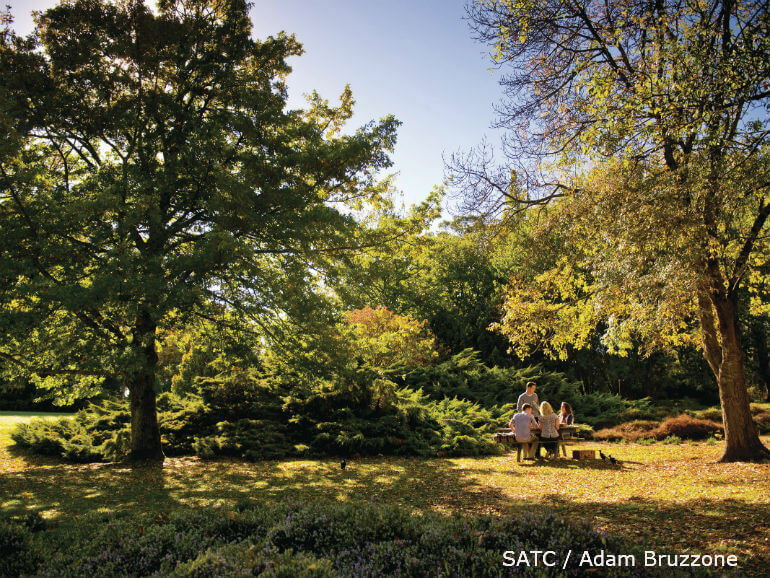 You will not want to miss the Mt Lofty Botanic Gardens (admission is free). It covers 97 hectares and is a must see. 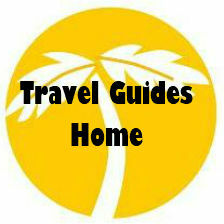 There are walking trails within the gardens and the Friends of the Gardens run free guided walks. The Summit café is open 7 days a week and is a great place to sit and relax. For people who have more time why not have dinner at “The Summit” restaurant with views that are breathtaking. The summit may be reached by car, public transport or by hiking from Waterfall Gully. This is a popular track. You pass 6 waterfalls along this scenic walk. The car park can become very busy at times so consider parking at the summit and doing the walk in reverse. Whether you are walking or driving to the summit don’t miss ‘utopia@waterfallgully’ one of Australia’s last heritage tea rooms and the only restaurant nestled beside a natural waterfall. Winding its way through the Mt Lofty Park is part of the Heysen trail a 1,200 klm walk from Cape Jarvis to Parachilna Gorge. You may not have time to walk the complete trail but at least you can say you have walked part of the trail. Mt Lofty is also the most common place to see snow in South Australia, although if the snow does fall it usually doesn’t last too long, so you best be quick. 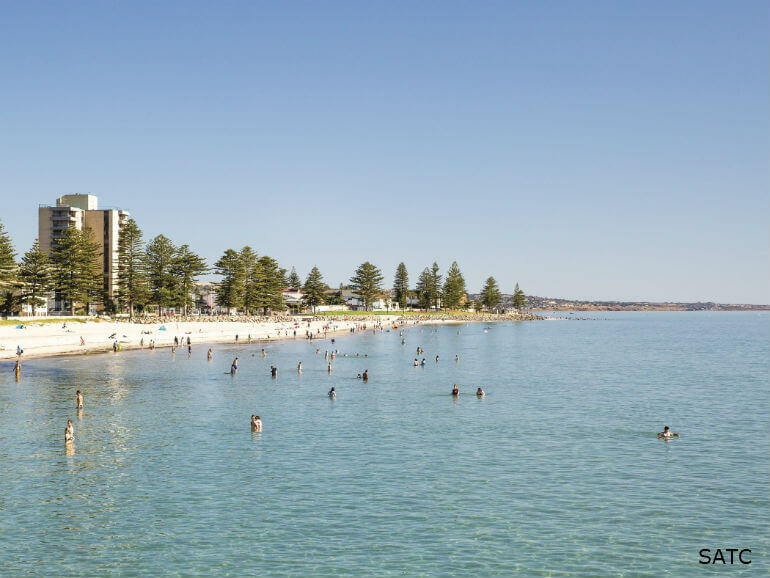 Glenelg is a popular beachside suburb about 10 kilometres south of Adelaide CBD. If you want to travel on South Australia’s only remaining public transport tram you can catch a tram from Hindmarsh all the way to Glenelg. Unfortunately, it is now only possible to travel on the heritage style trams as part of special events. If you tire of the beach and the jetty, or shopping on Jetty Road then pop into the visitor’s centre and get one of their free maps that covers walking and cycling trails in the area. For history buffs Glenelg has a replica of the HMAS Buffalo, the ship that bought European settlers to the area. You can also see the ‘Old Gum Tree’ beside which, in 1836, South Australia was proclaimed. The original tree itself is long gone but you can still visit the area where the proclamation took place. Even without a major event being on, Adelaide Oval should definitely make your Adelaide top 10 list. Actually it is probably better to visit it when there is not an event on as there are less restrictions. The stadium regularly hosts major events in addition to cricket and AFL. 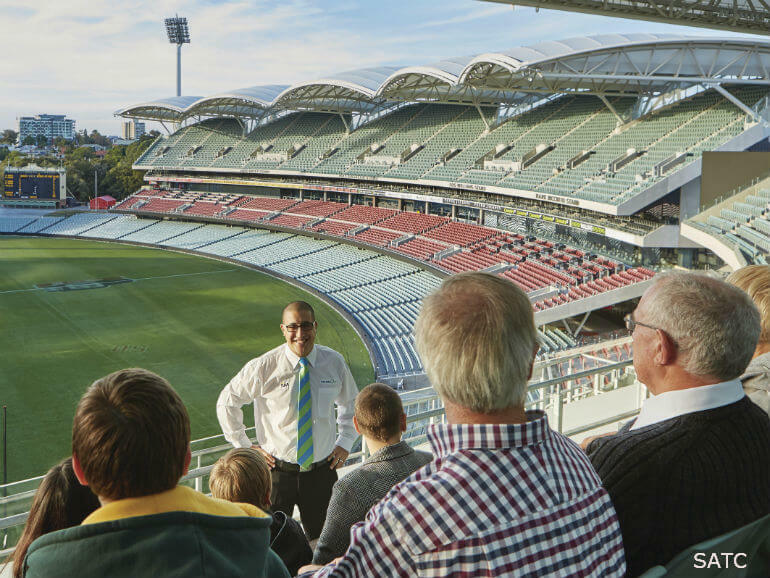 You can take a behind the scenes tour of the Adelaide Oval, again not available on public holidays or event days, to learn about the stadiums history and secrets from a band of enthusiastic and expert volunteers. For a totally different perspective on The Oval, take the roof climb, and to enhance your favourite Port Adelaide game watch a quarter of ALF from the roof! The Adelaide Oval also hosts the Bradman Collection, admission is free and open 7 days excluding public holidays and event days. Another wonderful feature of the Adelaide Oval is you can dine at the Hill of Grace Restaurant overlooking the field. This is a fine dining experience not to be missed, open for dinner Tuesday to Saturday and lunch on Fridays.